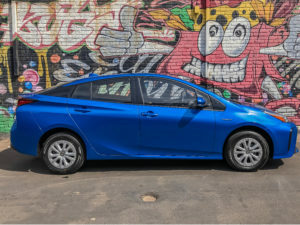 New design tweaks have been granted to Toyota’s Prius five-door hatch, benefitting from a list of exterior and interior treatment. Exterior updates come in the form of restyled front and rear bumpers, new slimline headlights with bi-beam LEDs and a revised lower intake. Front fog lamps also get pampered to further compliment the revised headlights. Revised LED taillights, redesigned 15inch 10-spoke alloy wheels and two color options ( Fierce Red and Sky Blue metallic) complete the exterior updates. 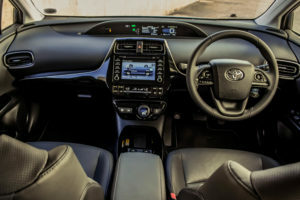 The interior benefits from a redesigned centre console which now includes two cupholders, seat heating switches and a newly added wireless phone charger. Colour treatment of the consol has also been replaced by a more elegant Piano Black look. The petrol-electric hybrid drivetrain combination remains untouched, slotting a 1.8litre Atkinson cycle petrol engine with two motor generators, both of which deliver a combined power figure of 100kW. Fuel consumption is rated at a low 3.7 l/100km, with CO2 sitting at 87g/km. 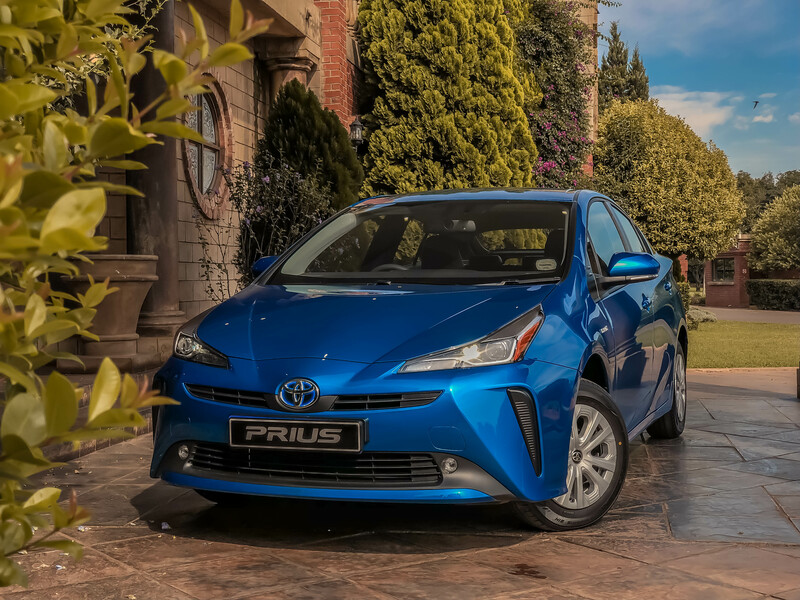 The facelift Toyota Prius comes standard with a 6-services/90 000km service plan is with intervals pegged at 15 000 km. 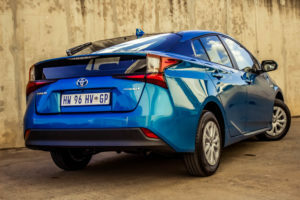 The warranty period on general items is 3-year/100 000km whilst the hybrid battery warranty is stipulated as 8-year/195 000km.